We are excited to present an ice exhibition that is nothing but pure fun! 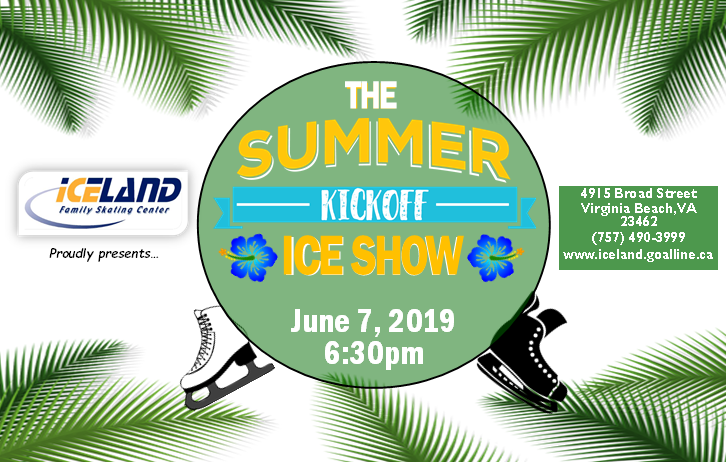 Our 2019 Summer Ice Show is non-competitive, and intended to allow the skaters, from our beginner TOT classes through our higher level FREESTYLE skaters to show off their newly learned or polished skills. 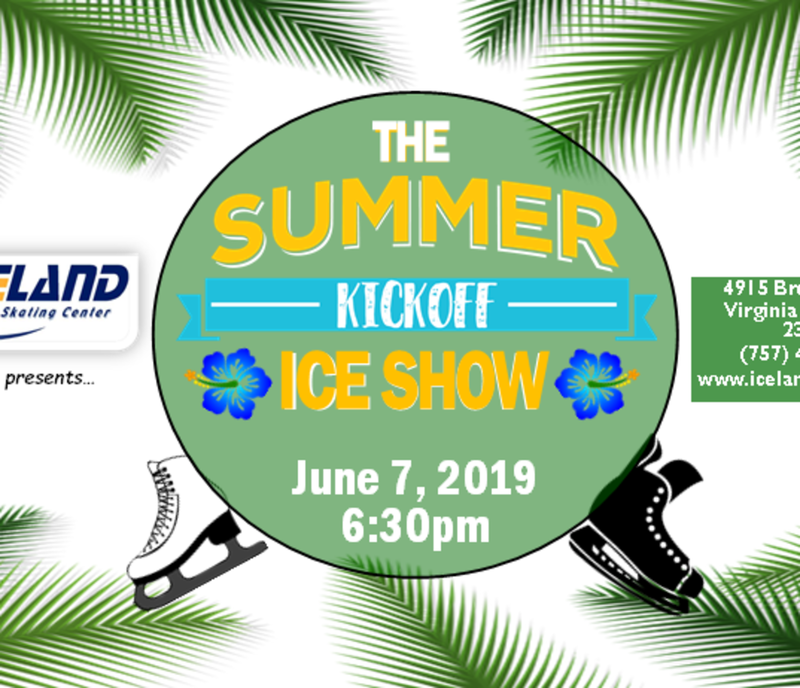 Registration is open to all skaters of all levels who want to participate in the Summer Kick Off Ice Show!! Admission is FREE for spectators at this event! Email icelandvb@gmail.com with any questions.